Milo had his friend over on friday, and since easter is this weekend, I wanted to find a fun project for them to work on. 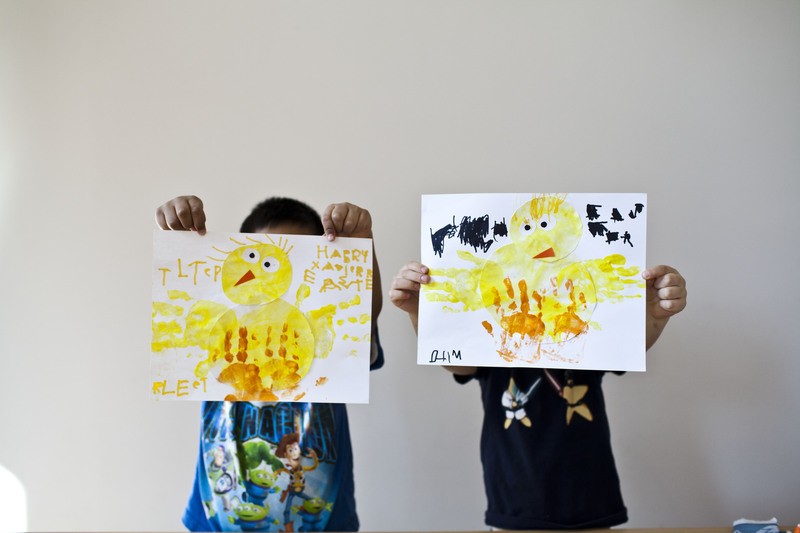 I didn’t have yellow paper, so i had the boys use finger paints to paint some paper yellow. Once it dried I cut out the pieces and had them glue it to the paper. 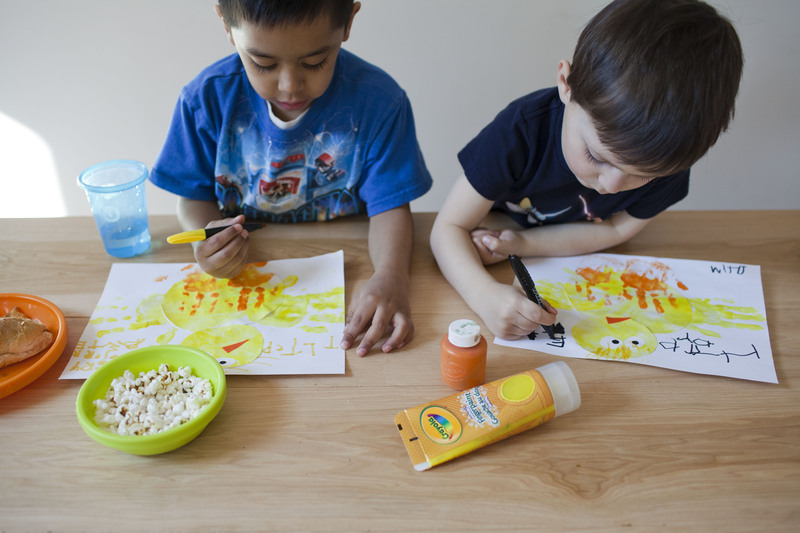 They did yellow handprints for wings, and orange handprints for feet. They drew some hair on their chicks and that was that! This kept them busy and they really had fun doing it. 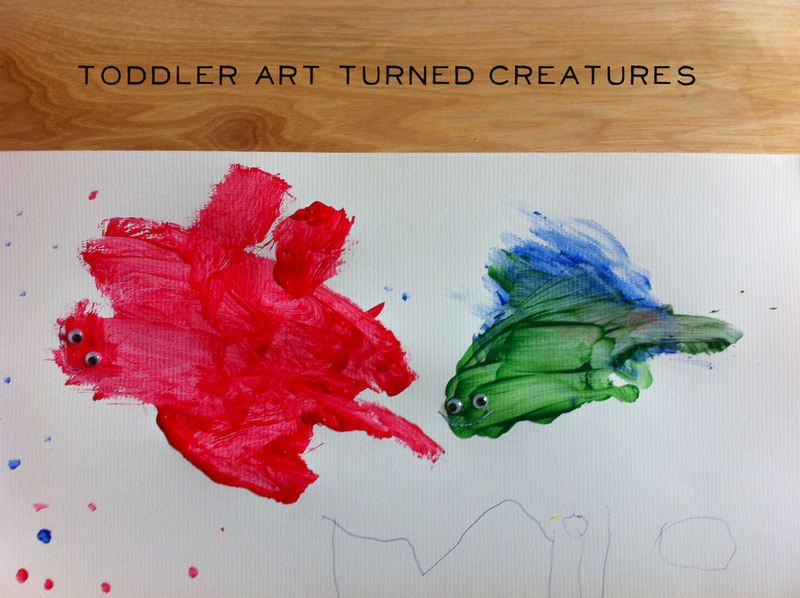 306. toddler art turned creatures. I saw something like this on pinterest and thought it would be a fun little thing to do with milo. At first he wasnt having it. He freaked out when I added eyes to it. I had to quickly remove the eyes and let him keep working… But then he asked me to draw a mouth on the dragon (the red one) and once he started to see it come to life, he wanted to put eyes on it. Then he made a fish (the green one) to follow the dragon. Loved how these turned out! 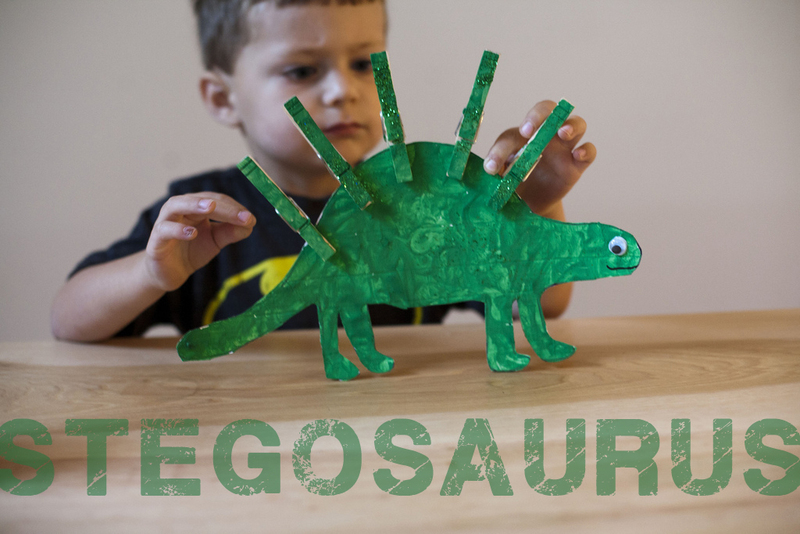 And I love how it made milo use his imagination to make something really cool. Check out how great he wrote his name too! 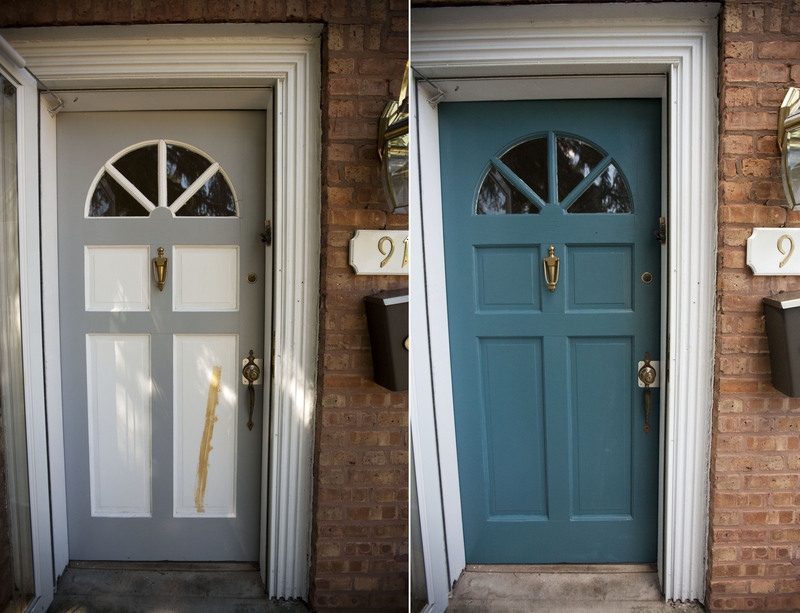 Our old door had a crack in it, so my friend patched it up, which means we needed to repaint. Instead of just touching up the messed up part, we decided to go all out and do a whole new color! Took alot of fretting over colors, (i’m not a good decision maker) – but we went with this teal blue color and I LOVE it. It inspired me to order a new light for the porch and now I’m on a mission to find a new door knocker, mail box and numbers that are more fitting to who we are. It is really amazing how just a coat of fresh paint can make you feel so fresh and inspired!